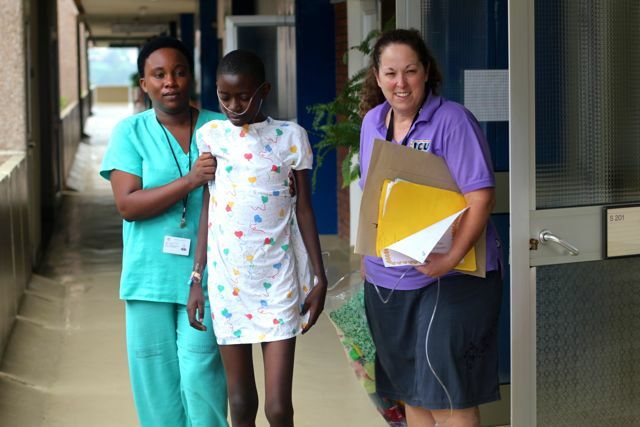 A little tentative, but young Ange, a tall thirteen year old girl who had a mitral valve repaired on Tuesday, walked out of ICU this morning (Wednesday). 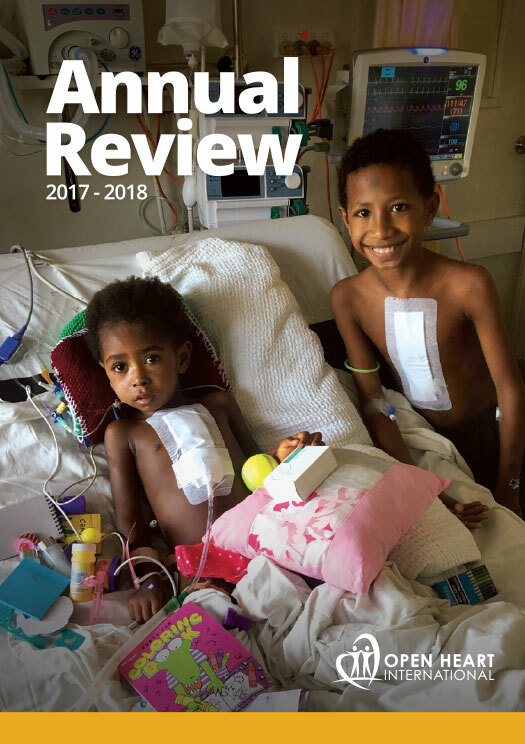 Getting children off ventilation, tubes out and back to the ward promptly is a vital part of an Operation Open Heart trip, since the number of patients able to be cared for in ICU is limited. The most remarkable change begins to happen as soon as children reach the ward, which a much more child and family friendly. Recovery is amazingly quick, especially as children see others who are a day or two ahead of them, up and out of bed, playing with the toys, colouring-in books and other gifts given to them by the team. 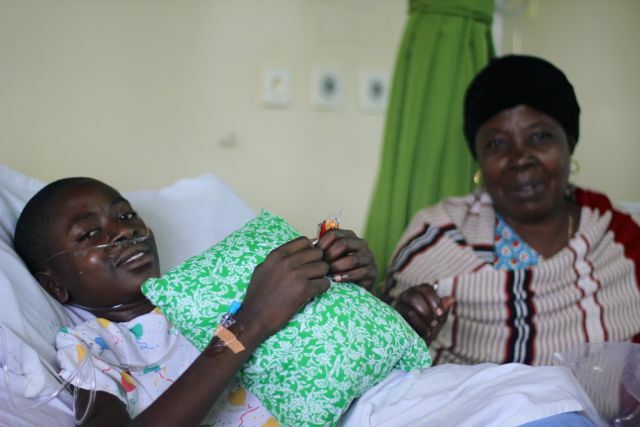 Only an hour after arriving at the recovery ward, Ange was enjoying a lollipop with her Mum.